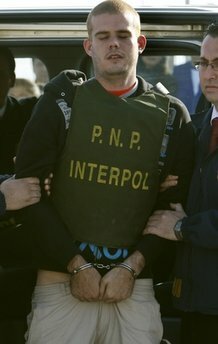 Aruban AG Rob Pietersz has stated that there was no evidence found that the former Aruba Chief of Police Jan van der Straten and his cronyism relationship with the Van der Sloot family played a negative role in the investigation into the disappearance of Natalee Holloway in 2005 in Aruba. Just curious, was there any evidence that the alleged relationship between former corps chief Jan van der Straten and the Van der Sloot-family played a “POSITIVE” role in the investigation? No evidence was found that the alleged relationship between former corps chief Jan van der Straten and the Van der Sloot-family played a negative role in the investigation into the disappearance of Natalee Holloway. Attorney General (PG), Rob Pietersz announced this yesterday afternoon. No evidence, eh? It is amazing how easy it is to find no evidence when one wants to find no evidence. All we need to do is review the investigation of the disappearance of Natalee Holloway to prove the theory. I guess Dutch official Hero Brinkman was wrong as well when he stated that ARUBA WAS CORRUPT AS HELL. Joran Van der Sloot, In the End Justice Will be Served for Natalee Holloway & Stephany Flores, Does it Matter How Long? JUSTICE FOR NATALEE … JUSTICE FOR STEPHANY. Local CBS Birmingham, Alabama TV 42 ran a story regarding how long justice will take in the case of Joran Van der Sloot. The question that needs top be asked is, what difference does it make how long it takes to hold Joran Van der Sloot accountable for the crimes against Natalee Holloway in Aruba and Stephany Flores in Peru? As long as JUSTICE is served! It could take years to unravel the multiple mysteries of Joran van der Sloot and the women alleged to be his victims. So what’s taking so long to achieve more than speculation? You have multiple countries, multiple jurisdictions. 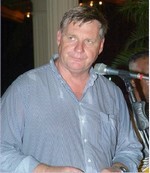 Van der Sloots a Dutch citizen living in Aruba suspected of crimes involving Peruvian and American citizens. He was arrested in Chile and has recently been indicted by Federal officials in Birmingham of wire fraud and extortion for allegedly taking money from the Holloway family for information about Natalee…and then providing no information. More on extortion indictment. For the many who have followed the disappearance and death of Natalee Holloway since 2005, they have already waited 5+ years for justice for Natalee. The family of Natalee Holloway has also been through 5+ agonizing, roller coaster years dealing with the cover-up, deceit, corruption on cronyism in Aruba and the lies, confessions, retractions and sociopath game playing of Joran Van der Sloot. Joran Van der Sloot has been arrested multiple times, been interrogated on many occasions and confessed too many times to keep count, only to be not formerly prosecuted by Aruban legal authorities because as they claim, he lies. Well no kidding folks, the sun also rises in the East, what difference does that make? Aruba has been dodging their responsibility in the case of the death and disappearance of Natalee Holloway since she first went missing. As Scared Monkeys initially wrote when the Alabama teen went missing, “This Can’t Be Good For Tourism, Where’s Natalee Holloway.” When a Caribbean island is so dependent upon tourism, it was obvious from the start that they would do every thing possible to downplay the event. Of course what Aruba never imagined or counted on was the determination of Beth Holloway who was a one woman wrecking crew in Aruba and for their tourism PR looking for answers as to what happened to her daughter. 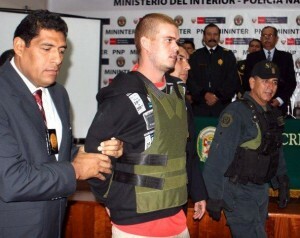 Joran Van der Sloot to Join General Population at Castro Castro Prison in Peru … Is JVDS a Dead Man Walking? According to Amigoe, Joran Van der Sloot will soon be put in general population at the Castro Castro prison in Lima, Peru. With two th three months Joran Van der Sloot, the little Dutch boy who has been accused in the robbery and murder of 21 year old Stephany Flores will be put in with the rest of the hardened criminals in the Castro Castro prison. Throw in the fact that Joran Van der Sloot has confessed to the murder and what better place is there for “the little Sporter” than with the rest of the human waste of convicts in general population. Joran van der Sloot will be transferred to the general department of the Castro Castro prison in Lima within two to three months. He is currently confined in cell on his own in a separate department – for his own safety. Joran is on remand for the murder of the 21-year old Peruvian Stephany Flores. It’s time for Joran Van der Sloot to put on his big boy underwear. The “Little Dutch bboy” is about to learn a lesson of real life, if you can’t do the time, then don’t do the crime. There is no reason why Van der Sloot should be given special treatment. The Castro Castro prison is home to many murderers in general population. Joran van der Sloot is no special than any other killers. Welcome to hell Joran, YOU AIN’T IN ARUBA ANYMORE!!! Joran Van der Sloot has been returned to Lima, Peru from Chile where he was apprehended and arrested while on the run from Interpol. 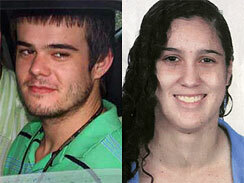 Joran Van der Sloot is the prime suspect in the murder pf 21 year old Stephany Flores. Stephany Flores’ bloodied body was found in the hotel room registered to Joran Van der Sloot in Lima, Peru last Wednesday. It is now being reported that a baseball bat was found in the hotel room and that was used as the murder weapon to kill Stephany Flores. What type of individual uses a baseball bat to kill another? Joran Van der Sloot claims that he is innocent and did not kill the Peruvian girl. Van der Sloot was the last one seen with Flores as images were captured on hotel video. Where have we seen that story before, it’s deja vu all over again with Joran Van der Sloot as this crime seems to be 5 years to the date as that of Natalee Holloway in Aruba. Flores was found dead late Tuesday in the Lima hotel room where van der Sloot had been staying before he left the country. She had a broken neck. She was fully clothed, with multiple bruises and scratches on her body, but there were no signs she had been sexually assaulted, according to The Associated Press. 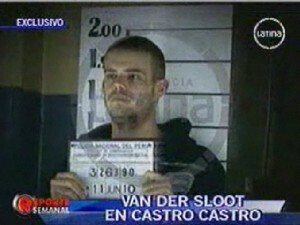 Van der Sloot told Chilean police that he did not kill Flores but said “he met her, and at some point, they went to a casino.” However, Joran Van der Sloot, the wannabe gangsta pimp has bitten off more than he can handle this time as THIS AIN’T ARUBA and there is NO PAPA SLOOT alive to sanitize the murder and create a “no body, no crime scenario”. There will be no cronyism in Peru to save the Sporter. Joran Van der Sloot had previously confessed the the crime of of the death of Natalee Holloway and Aruban prosecutors did nothing. Van der Sloot was even caught on secret surveillance tape stating that he had dumped her in the ocean and Aruba prosecutors sat on their hands. Scared Monkeys has stated from the outset of the Natalee Holloway case, that innocent people do not lie, they do not have to. Which begs the question, not only did Joran Van der Sloot initially lie in the case of the disappearance and death of Natalee Holloway, he continued the sick and torturous endeavor of confessing to the crime and then tried to extort money from an unnamed AL individual for information as to where Natalee Holloway was buried. This sick POS has tried to manipulate and rub people nose in it that he got away with murder. Joran Van der Sloot’s days of praising himself are over. Just a question to those in Aruba, Holland, the US and around the world with regards to your defense of Joran Van der Sloot in the death of Natalee Holloway and your blame and false and hateful accusations made against Natalee’s family … how ya feeling now? Another girl is dead thanks to Aruba sweeping a murder under the rug. Joran Van der Sloot has met his “Waterloo”.